Walking around the pits at The NLWS on a Wednesday night (Wild and Wacky Wednesday) a certain name and number catches your eye. Alkas, and the number #89 caught mine. Seeing Fred Alkas running around of the famous blue #89 brought back memories for me. Fred was a hot shoe at the Plainville Stadium. On this night, he was running around and getting his Grandson’s (Tyler) Bandolero ready for that night’s action. 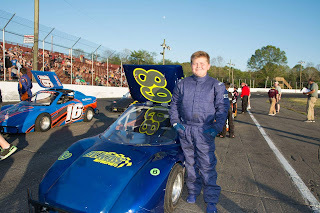 Tyler is a third-generation driver as his dad is busy circling the Stafford Speedway on Friday nights in his SK Light. 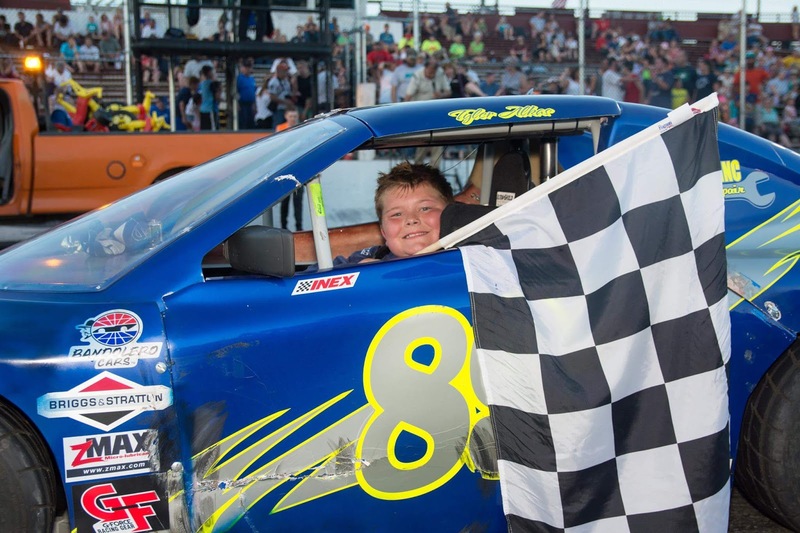 Tyler who is 11-years old is no stranger to racing. The youngest Alkas started his racing career at the young age of five. 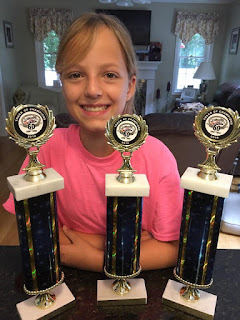 To say the Alkas Racing carries on in racing, Tyler won two-track championships in Karts, earned the Jr Rookie of the Year in Karts (Both at the Berlin Fair Grounds) and on this night, I got a chance to talk with the family, as well watching Tyler going out and winning his first career Bandolero win. 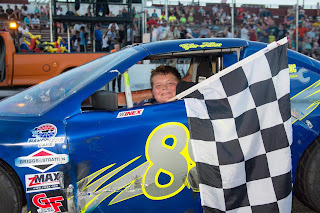 You can tell Tyler has it as in victory lane as at The Speedbowl, the first people he wanted to thank was his Grandfather and father (family), then his sponsors rolled right out Acculift, Avery’s Soda, B&C Power Coating as well as Critical Tint. You can see he’s going to be a natural in Victory Lane. Tyler has the right mentality to be a racer. When you ask him what his plans are he responded, “To go faster each week and to finish up front weekly”. 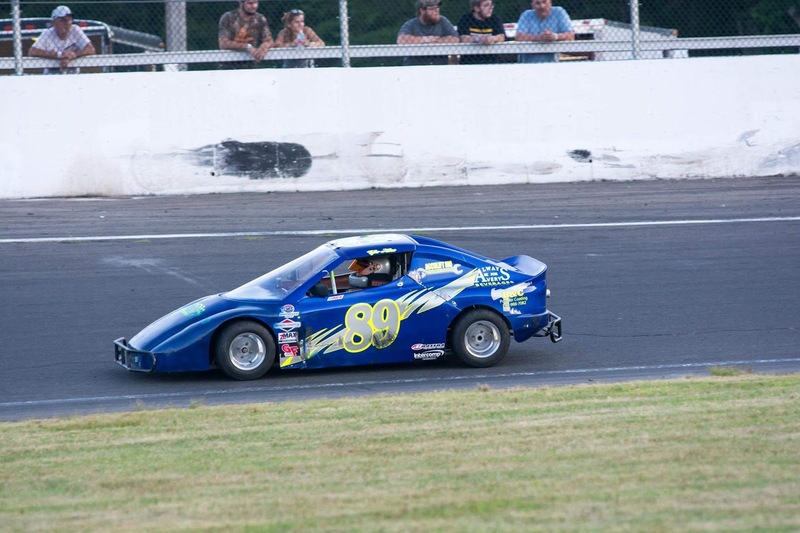 Tyler’s goal in racing is to step up and to race his Dad’s SK Light Modified when he turns of age, so his future is looking bright. 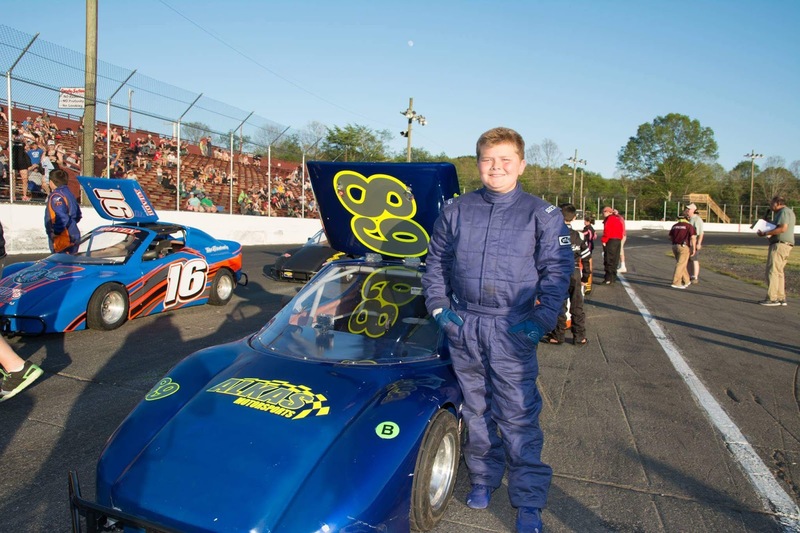 Talking to Tyler about his Bandolero, again it goes back to his Grandfathers days at Plainville Stadium. “The number 89 was my Grandfather’s number when he raced and the blue and yellow was his colors so that’s why I wanted them,” explained Tyler. Growing up in a racing family, you just had to wait and you know it will come. For Tyler, it was when his Grandfather showed up at home with a Go-Kart. He started racing at their local kart track and like most kids they were hooked. When Tyler started racing for points he went out and won the championship and the Jr Rookie of the Year honors in year one, the second year he picked up where he left off and won the points again. When off the track you can find him playing football and baseball or watching his favorite drivers like Ryan Preece, Kevin Harvick and Tyler Hines. Watching the New York Yankees is also high on Tyler’s list. Tyler is set to attend McGee Middle School in the sixth grade as the summer winds down but for now it’s all The Speedbowl. You can always stop by and see a great racing family and to see that priceless smile as Tyler removes his helmet. 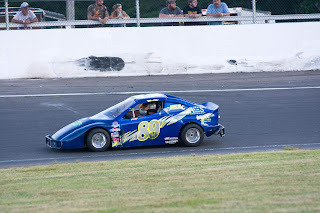 Joining Fred and Mark helping on the #89 (600 Racing as the chassis builder and provides the power) Bandolero is Ron Schyed and “Quick” Rick Smilnak. As of this story Alkas in working on putting together Social Media sites so you can stay informed about Tyler and his Alkas Motorsports Team. One thing Tyler wanted to say before closing this story was to let the fans know that he appreciates them coming to watch him and to support his sponsors as well, “It makes racing a lot more fun looking in the stands and seeing a lot of people there,” finished up Tyler. Watch Tyler as he will be climbing up the ranks in racing as well as carry the Alkas name for many years to come.